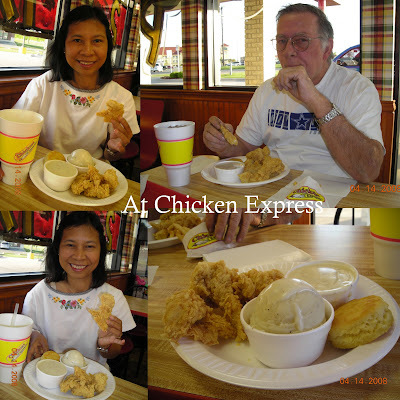 Hubby and I went to Alvarado last Monday and we stopped by at Chicken Express to eat our supper. As usual we ordered chicken tenders and I got mashed potatoes on the side while hubby got French fries. We love their chicken and their gravy. It's a lot better than Golden Chick here in Wichita Falls. We always go to Chicken Express every time we go to Alvarado. This is one of our favorite chicken restaurants.